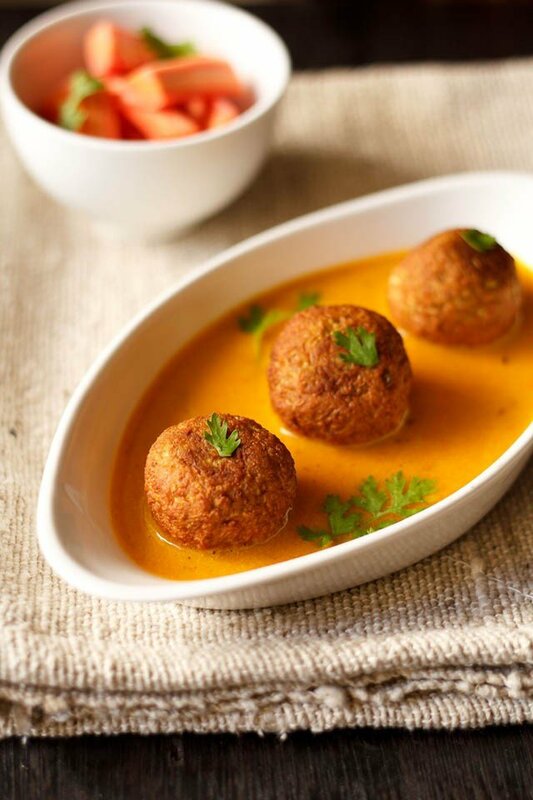 lauki ke kofte is a light tomato based delicious curry dunked with koftas made from bottle gourd. 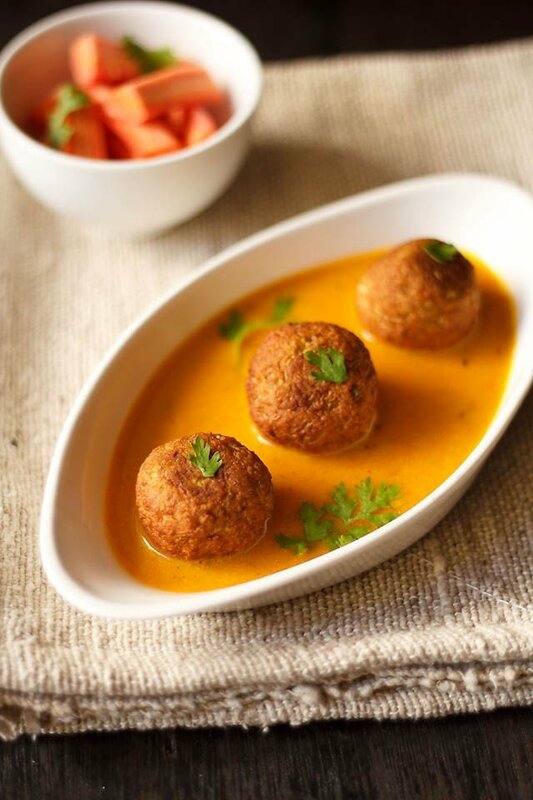 lauki kofta recipe with step by step photos – a light tomato based delicious gravy dunked with koftas made from bottle gourd (lauki or ghia or dudhi). first time i heard about and also had lauki ke kofte at my in-law’s home. i had never heard nor knew that a curry is made from bottle gourd koftas. i knew of malai kofta, cabbage kofta, paneer kofta, aloo kofta, veg kofta but not of this one. lauki/ghia also known as bottle gourd or opo squash is used to make the fried dumplings and then added to a tangy tomato based gravy. the whole curry is mildy spiced and has a good flavor and slight tang due to tomatoes. the koftas along with the curry taste really yummy. my first impression on having the curry was – the koftas were yum… they just melted in the mouth. but the curry base tasted to me somewhat like tomato rasam… not exaggerating. this is what i genuinely felt when i had the lauki kofta curry the first time. it was like koftas in tomato rasam. nevertheless i enjoyed having it since i am a rasam fan. since mil does not add anything to the curry paste made primarily of tomatoes and some onions, ginger, garlic etc… and the tempering of cumin in this tomato based curry was one of the reasons the curry tasted much like tomato rasam. so i improvised upon her recipe and to make the gravy more smooth and creamy, i started adding cashews. 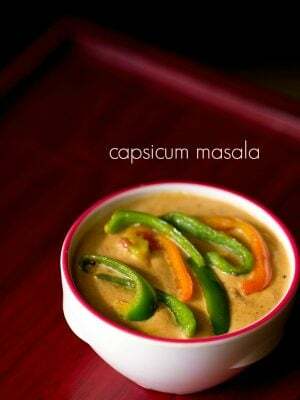 cashews not only enhance the taste, but even give a smooth rich consistency to the gravy. 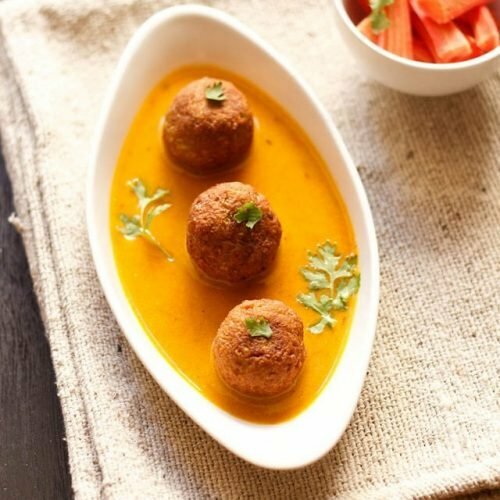 this lauki ka kofta recipe requires you to do some prep work before hand like making the lauki koftas or pakoras. in this recipe i have made koftas. as a result, they don’t absorb much of the gravy. however if you make pakoras/fritters, they do absorb a lot of the gravy and swell up and can break also. so its advisable to add them when you serve and not before. 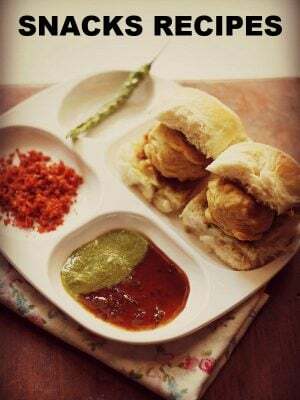 the difference between koftas and pakoras is the consistency of the mixture or batter. the kofta mixture is thicker. whereas the pakora mixture has pouring consistency. you can choose whatever is easier for you to make. pakoras will be much easier to make than shaping and making the koftas. 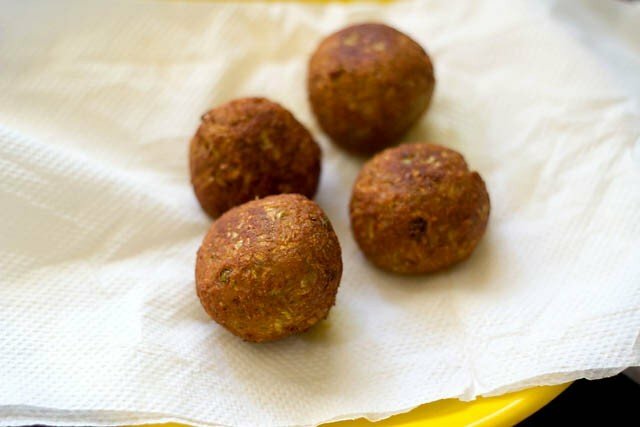 you can make the kofta or pakoras before hand and refrigerate. then make the gravy the next day. the koftas made from this recipe can be added to the gravy safely. they won’t break. these koftas are not porous and hence don’t absorb much of the gravy. rinse and peel the lauki (bottle gourd). grate it. squeeze the grated lauki and collect the juice in a bowl or mug. keep the juice aside. mix all the ingredients for making the koftas with the grated lauki except oil. 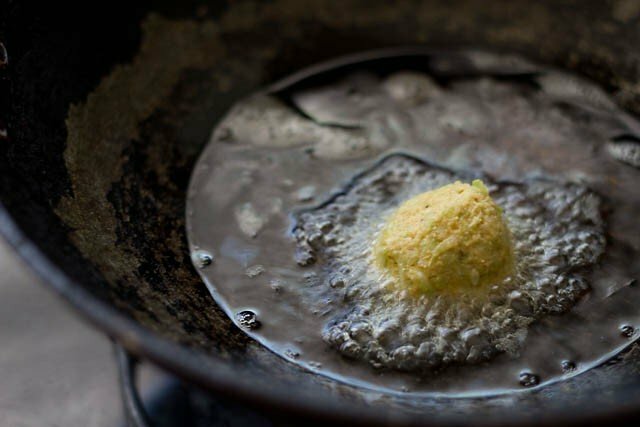 make small round shaped balls or patties. heat oil in a kadai or frying pan. fry the lauki kofta in the oil, till they are even golden browned from all sides. 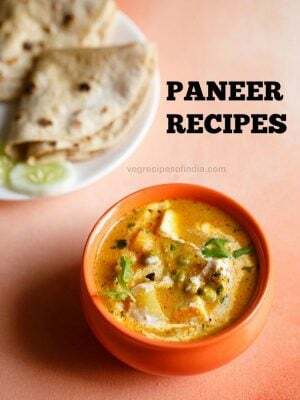 drain the fried lauki kofta on tissues so that the extra oil is absorbed. 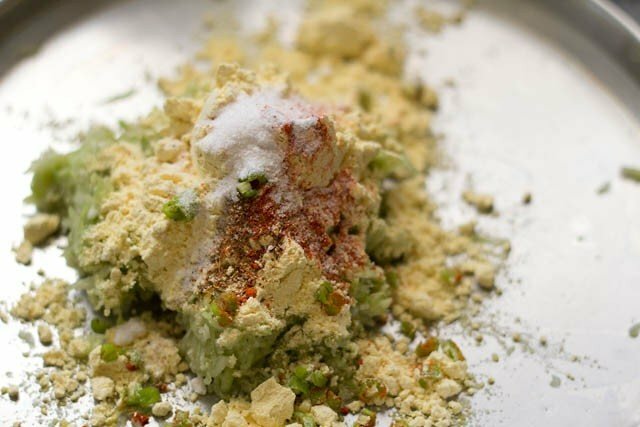 blend all the ingredients mentioned under "masala paste" with little or no water to a smooth paste. don't add too much water as then the whole mixture splutters while frying. remove extra oil from the frying pan in which the koftas were fried. keep about 1.5 or 2 tbsp oil. heat the oil and first fry the cumin. then add the masala paste. fry for 8-10 minutes and then add all the spice powders. 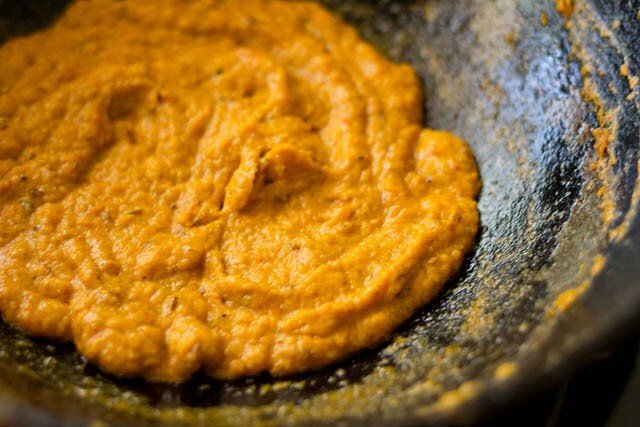 stir and continue to fry the masala paste till it starts leaving oil from the sides. add the juice and about 1 cup water to the paste. stir and simmer for 10-12 minutes. lastly add the fried lauki kofta. switch off the fire and let them be in the lauki kofta curry for a few minutes. garnish with coriander leaves and serve lauki kofta hot with rotis, naan or jeera rice. if you like a sweet taste in your curries, you can add sugar too. 1: rinse, peel and grate the lauki aka bottle gourd aka opo squash. squeeze the grated lauki. however, keep the juice. we will use this juice in the gravy. 2: add the besan/gram flour, spice powders, salt. 3: mix well and form small sized round or oval balls. 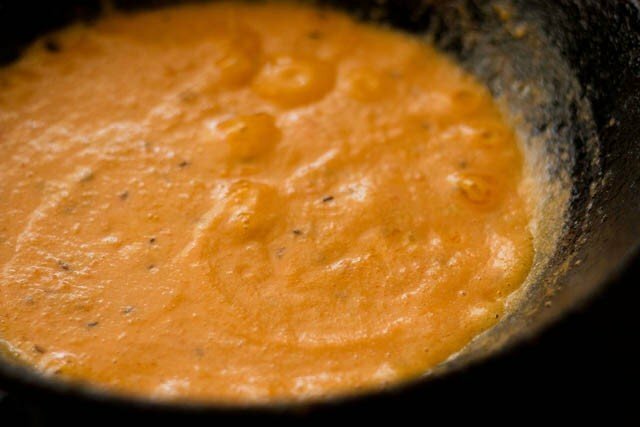 if you add water to this mixture, then you will get a batter consistency which will help you in making pakoras. 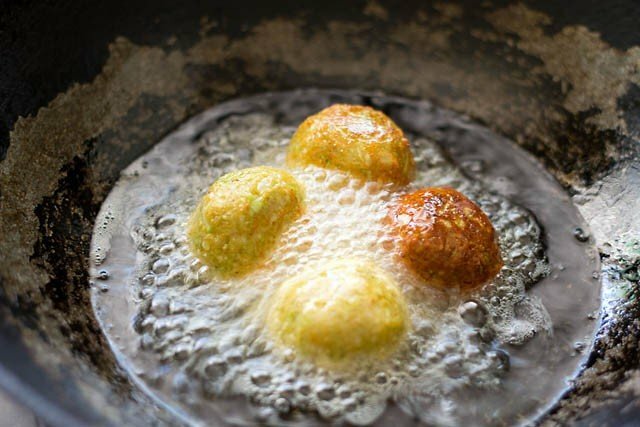 if making pakoras, then just drop spoonfuls of the batter to the oil while frying. add less water to make the batter. 4: heat oil in a kadai or frying pan. you can shallow fry or deep fry. gently place the lauki kofta in the hot oil. i first added one just to make sure if it breaks or does not break. 5: fry the koftas in the oil, till they are even golden browned from all sides. the first kofta which i added has already got browned. 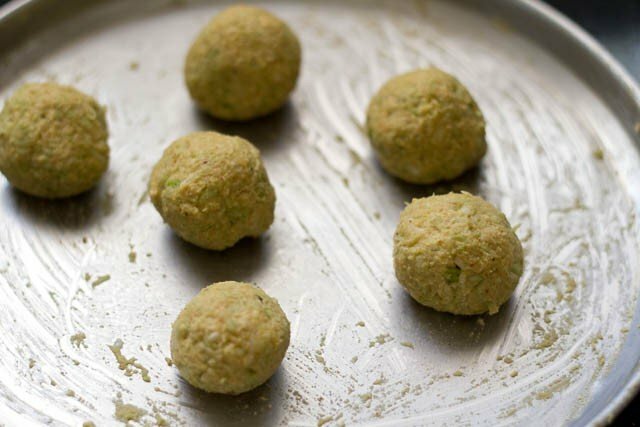 6: drain fried lauki ke kofte on paper tissues so that the extra oil is absorbed. 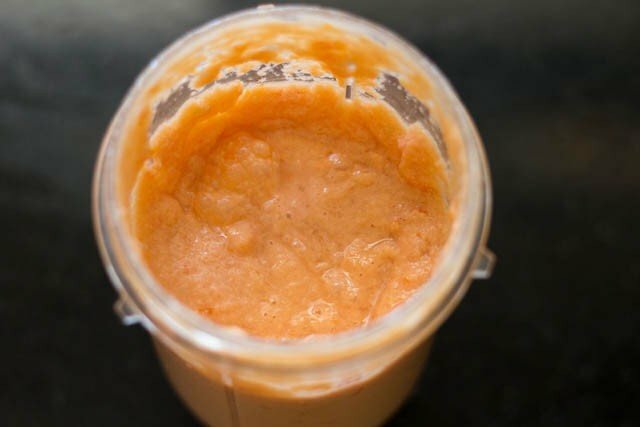 7: make a smooth paste of tomatoes, onions, green chilies, ginger, garlic and cashews. 8: remove the extra oil from the same pan in which you fried the koftas. keep around 1.5 or 2 tbsp oil. heat the oil and fry the cumin first. then add the masala paste. be careful as the paste splutters. if there is too much spluttering, then just cover the pan with a lid not covering the pan fully. allow some steam to escape. the spluterring will stop when the mixture thickens. remove the lid. keep stirring the masala at times. 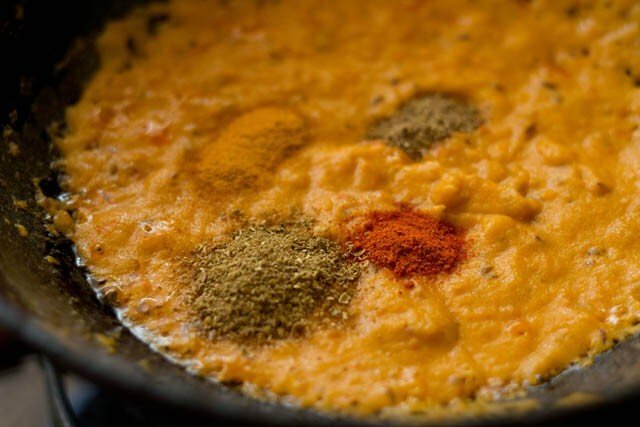 9: when the mixture has thickened, add the all the dry spice powders – turmeric, red chili powder, coriander powder and garam masala powder. 10: stir and let the masala cook for 3-4 minutes more or till the mixture starts to leave oil. 11: add the strained bottle gourd juice. add water. stir and simmer lauki kofta gravy and cook for 10-12 minutes more. don’t cover the pan with any lid. 12: lastly add salt and stir. if you like a sweet taste in your curries, you can add sugar too. add the fried lauki kofta. 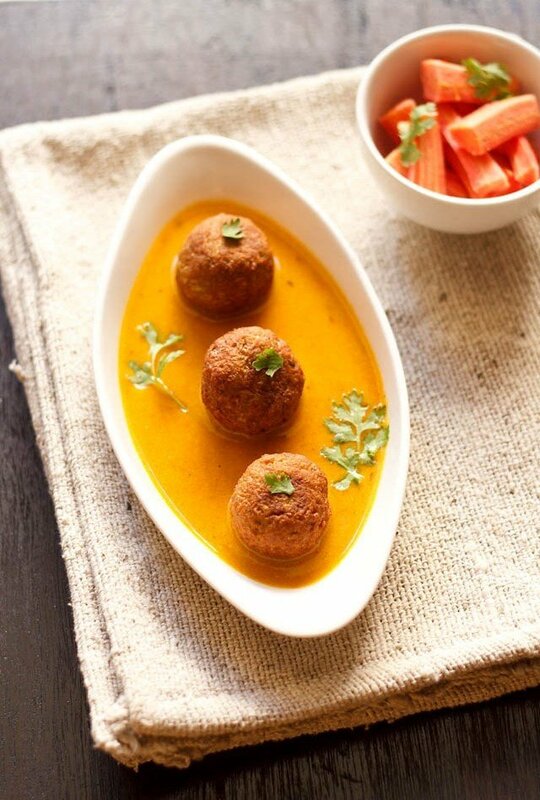 serve lauki ke kofte with rotis, naan or basmati rice. 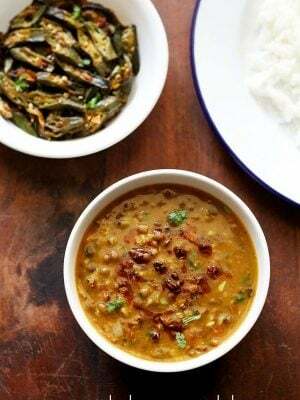 also goes well with jeera rice. I have tried many of them and all of them got me a lot of praises. All thanks to you. After my marriage i shifted out of India so i have to cook all alone here. I have never been too much into cooking before & also being away from my mother your recipes helped me a lot. Thanks again. that is such a sweet comment from you almas. thank you very much. i am glad that the recipes are working out so good for your. thanks again and welcome. wish you all the best. I have laddu besan at home which is a little coarse, can that be used for the kofta instead of regular besan. Also, can the koftas be shallow fried? yes you can use coarse besan. yes you can shallow fry. Finger licking good! Once again- thank you! If I were to add cream to the gravy, at what stage should I do it? I am thinking of serving it for dinner party. Would the cream curdle as there are tomatoes in the gravy? bharti, once the gravy is done, then add the cream. that is after adding salt, you can add cream just before you add the koftas. so after adding cream, mix well and switch off the flame. cream won’t curdle. Hey I am regular follower of your blog and have tried quite a few receipes. 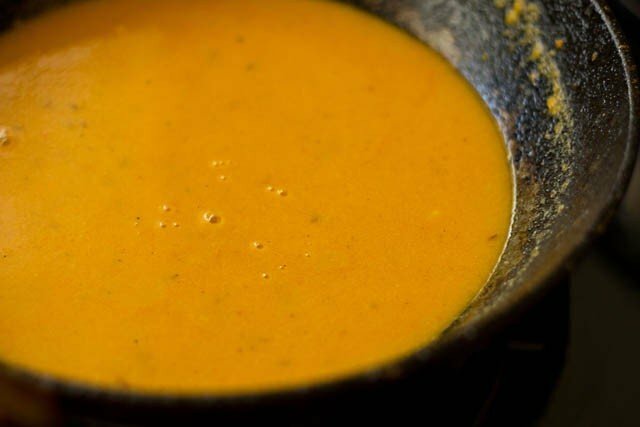 I have a question about the blender that you use for making chutneys or pastes for curries. I have used ninja and a few others. Havent seem to get a perfect one esp for curry pastes. aarti, i use preethi mixer grinder (blue leaf) for curry pastes as well as making idli batter. very good and i have been using it for a few years now. Ruchi, make it like pakora batter. So add some water in the kofta mixture. then it will be soft and will absorb gravy. Welcome Bineeta. Thanks for sharing this awesome feedback. Glad to know that everyone liked the koftas. 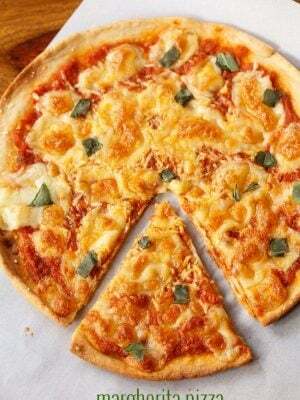 Quite good recipe,seems tasty.Thank you for sharing. Hi tried it today gravy was yummy but the kofta was little,want to know the reason.pls let me know, I have tried other receipes had come out very well. jalaja, you mean the kofta was less? you can add some more besan and make a pakora like consistency of the batter. then fry like pakodas. this way you will get more koftas. Hi – I do not have cream or cashew nuts. Can I still make this recipe without these ingredients? Priya, you can skip adding them. Shiji, yes you can use. blanch the almonds and then peel them. It took a lot of time for my gravy to become thick and at last when it got thick the oil didn’t started separating. Where did I went wrong ? salo, depending on the type of pan used, the flame intensity and pressure, cooking can takes less or more time. even after the masala becomes thick, it needs to be sauteed for some more minutes till you see oil clearly at the sides or in the masala paste. this takes some time. you can always regulate the flame from low to medium when sauteing masala. just that there has to be frequent stirrings or else the masala can burn. Welcome Latha. Glad to know that you are liking the recipes and their presentation. Thanks for your kind words.